Seems everyone is on the Discord bandwagon lately, including Belghast, who made a post about it. I installed it a while ago, fiddled with it a bit, and haven’t touched it since. There’s a couple of reasons for that. One of them is simply that without external pressure like a raid group switching forcing me, I have inertia keeping me on Vent. It works fine for what I need, so why change? That’s not a slam on Discord as a product at all; I used it a bit and it worked really well. Admittedly, I’m old school: I think a business should have a plan to make money when the business is created. That plan may take years to implement and turn profitable, but there should be one. Tech companies are notorious for going years with no plan to make money. Twitter only finally started making money this year, and it’s not an impressive amount for a company of its size. Venture capitalists hand out money to tech companies based on the idea that it might get huge, and that’ll somehow translate into profit. The opposite is what bothers me. We seem to have become conditioned to things online being free, to the point of paying for stuff “bothering people”. But, someone has to pay for it in order for it to exist. Servers, developers, and related things aren’t free. This same thing came up in my previous post about Wildstar, with the idea that developers would work because of “passion”. If you train users that your service has no value, how do you charge them for it later? Discord will face that problem at some point. When they do, they will either sink or swim. If they sink, I don’t want to have to switch again when what I had before Discord worked just fine for a pretty modest fee. 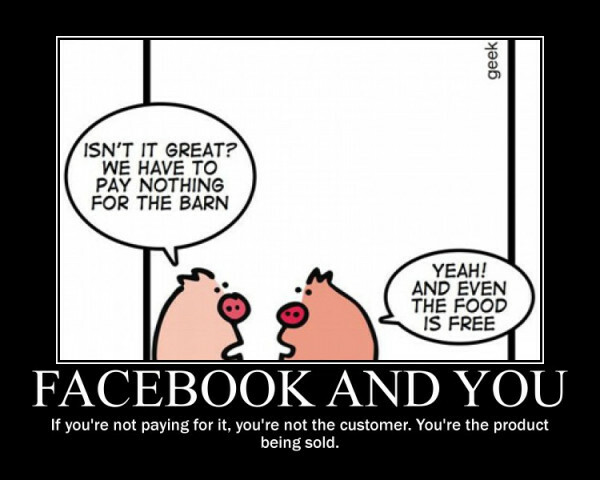 Facebook’s business model is also “free” to the people using it, but it makes sense. They have a clear plan to make money, they sell something, and it works. The catch? It’s not actually free. It costs $0. There’s a difference. You pay with personal information and with advertising. Given that I use Facebook quite a lot, that’s not a judgement on what you should or shouldn’t do. Just noting that it’s still not free. F2P games are “free”, in the sense that they’re often built around exploitation of addiction, and the “free” users are being paid for by the money and misery suffered by the addicted users. You pay by being complacent in that exploitation, as the games are helped by having lots of players to keep the addicts interested and spending. B2P games are not free, of course. This is clearest model when it comes to making money, in that you’re selling something straight up. You might sell more things later, of course, but those are straightforward transactions. Although something of value is changing hands here, the “free” ones tend to be crappy in comparison to the paid one. When I buy a new bed, they don’t ask to track what I do online or show up at my house with extra ads. It’s a straightforward transaction, after which they leave me alone. Same thing with something like a Vent server or my domain name. I pay them, they give it to me, we leave each other alone and go about our business. “Free” never does that. Except for Discord, of course, which is truly free right now, except for the VCs paying the bills. That state of affairs can’t last, as it’s against the fundamental reasons that a business exists: to make profit for shareholders. I’d rather they be more active about that part, and it would increase me interest in using their product. Right now, it’s really just taking advantage until they alter the terms of the deal, and praying they don’t alter them too badly. I’d rather not get overly invested, spend effort, and then need to do it again if it turns out the new arrangement is worse than what I already have with Vent. Great write up on exactly why I distrust Discord and actively refuse to use it whenever at all possible. If they displayed ads or provided a paid service it would actually make me a lot more comfortable with their service. Without a clear path to covering their costs plus the investment of a large amount of large, experienced companies very interested in information mining, it makes me highly suspect of where they might go in the future. Personally, I take it a step further than you in that I don’t like encouraging Facebook’s model of information as a product, where they try to sell the information to third parties as much as possible. I was one of the first 4,000 people on Facebook or so, and while I still do use my account, I greatly limit the information I post to it and instead post things via my own sites and services and link it such that it limits Facebook’s rights to the information and complicates them trying to mine it. That said, they seem to be starting to realize Google’s model was far, far better. At the end of the day, trading access to personal information for services is a good deal in my opinion. It fixes a lot of the problems with general advertising by wasting less of my time by providing more useful ads to me while also giving me (hopefully) a better value for my information if I’m being smart with who I do business with. The other big trick of that though is to keep your information protected. If you look at Google’s model, it is drastically different from where Facebook started. They realized that selling the information they can gather is a one time transaction and then they need more information to sell. They realized this has privacy implications that aren’t desirable and reduces the value of the consumer’s information. Instead, they wisely chose to sell use of the information, not the information itself. Google and I are aligned in our interest in protecting my data. I provide them with information so they can provide valuable services to me and pay for it with more useful advertising. I win. They get access to information I trust them with and can act as a gatekeeper and agent for me, effectively leasing use of the data to others, but keeping control of it for both our interests. As a result, they can provide better value for the data and also makes it much easier for me to pull my data from a single place if the relationship changes. I believe having this kind of common interest with data vendors is critically important to retaining control and the value of personal information. When I see data vending moving in a direction like Google I’m far more comfortable interacting with them.